Superlatives are well-earned in the case of America's best-known natural attraction, Grand Canyon National Park, where scenic vistas, hiking trails and white-water are par for the course. 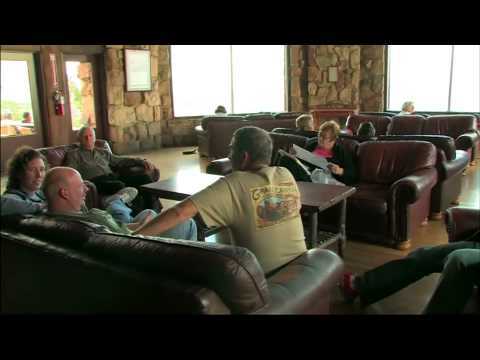 Grand Canyon Lodge - North Rim will happily answer your questions and provide any information that you need. Simply fill out the form below, click "Submit" and your request will be forwarded to Grand Canyon Lodge - North Rim for their prompt attention. Grand Canyon Lodge-North Rim is located in Grand Canyon National Park in Arizona at Bright Angel Point. The only lodging on the North Rim, this renowned Lodge and location is more remote and less crowded than the South Rim and features dense forested trails in its nearby surroundings. Accommodations include Frontier, Western and larger Pioneer cabins, plus motel units--all either on or within easy walking distance of the Canyon rim. With a picture-window view of the Canyon, diners enjoy elegant healthy meals served in the Lodge's beautiful historic dining room; breakfast, lunch, and dinner are available but reservations are a must. Travel on Route 67, leaving U.S. 89A at the junction near Jacob Lake. Follow it 43 miles through forests and meadows to the majestic North Rim of the Grand Canyon. The road is closed from November to mid May. South Rim to North Rim Shuttle: Between May and November, a rim-to-rim bus operates daily. The bus leaves the North Rim and arrives at the South Rim in about four-and-a-half hours. It leaves the South Rim in the afternoon and arrives at the North Rim early in the evening. Call Trans Canyon Shuttle at (928) 638-2820 for departure times and further information. There is no other bus or rail system from the North Rim.